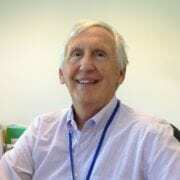 Wallace Pickworth is a pharmacologist with over 30 years of preclinical and clinical experience. Dr. Pickworth served as the Principal Investigator/Senior Project Director on various projects for the National Institute on Drug Abuse and the private pharmaceutical industry and as a co-investigator on extramural grants for the National Institutes of Health (NIH). His primary function in these roles is serving as key Senior Technical Advisor and leader for teams of multi-discipline professionals. As a PI/Senior Project Director in health-related research at Battelle Memorial Institute, Dr. Pickworth is responsible for study design; developing study protocols; preparation of OMB submissions, human subjects committee, and Institutional Review Board materials; financial management of projects; selecting and overseeing subcontractors; developing survey instruments, procedural manuals, and clinic schedules; recruiting, hiring, and training staff; supervising field and office staff; designing and monitoring quality control standards; and data management and analysis. He develops and conducts training of research support staff and routinely makes presentations to national scientific advisory panels, state advisory committees, government agencies, private industry and employees, and other audiences. Dr Pickworth has serves as a PI on NIH-funded grants and contracts with leading public health agencies Dr. Pickworth has worked effectively with numerous collaborators, including, NIH colleagues, academic and health care institutions, other investigators, private employers, national and international scientific and regulatory agencies. He has authored over 100 peer reviewed publications on drug abuse and tobacco related research. Wallace actively directs pharmacy student internships and is on the clinical faculty (adjunct) at Mercer University, University of Maryland and University of Notre Dame of Maryland Schools of Pharmacy. https://friendsresearch.org/wp-content/uploads/2017/09/pickworth-new1-e1514128783597.jpg 1027 1027 awp-admin /wp-content/uploads/2017/11/fri-banner-logo-2.jpg awp-admin2017-09-28 16:00:442017-12-20 19:53:15Wallace B. Pickworth, Ph.D.